This one's for the LADIES!!! Spyder Extras Exclusive! 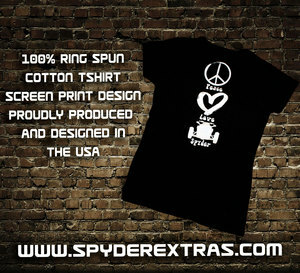 Our 100% ringspun cotton shirt is designed and produced in the USA. Ride the wind and catch attention with this unique Spine riding Screen print design. This shirt is a fitted shirt and will run small. If you like your shirts to fit snug, order your size. We reccommend you order up a size if you would like a little extra room. 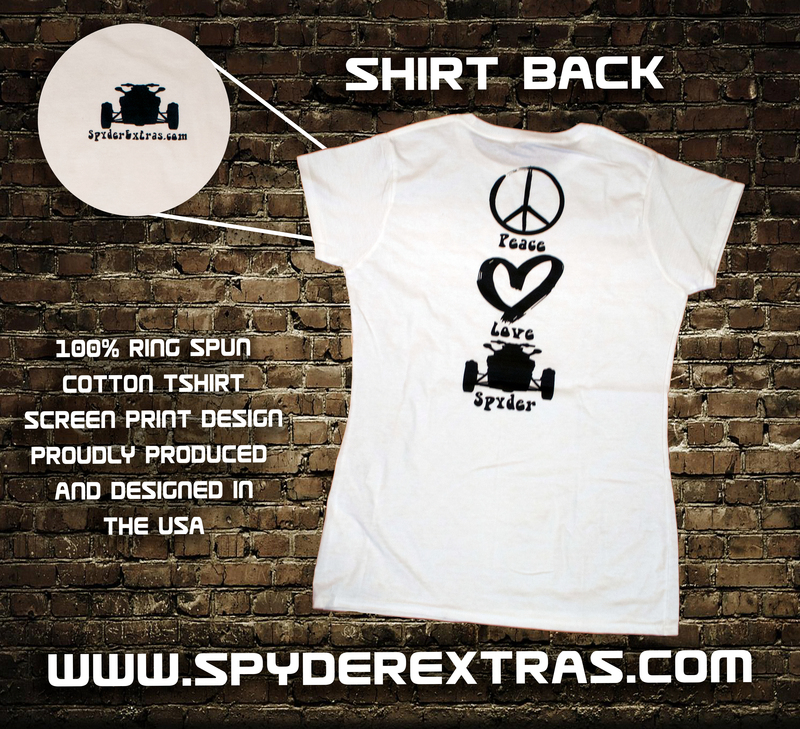 Peace, love and Spyders! Please allow up to 7 days for production. 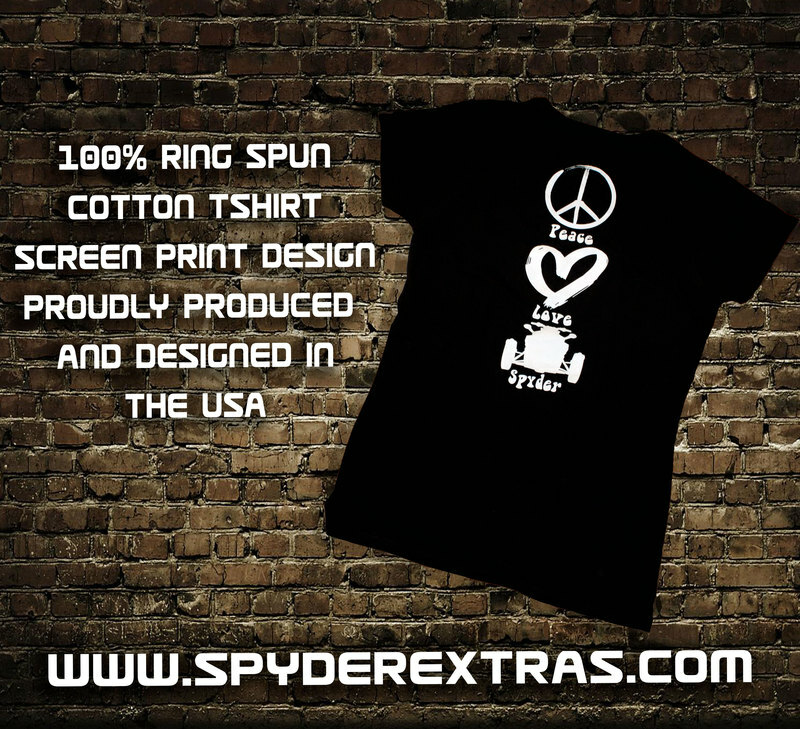 After production we will ship using your prefered delivery method at checkout.